The decline in cash transactions provides obvious benefits for retailers, not least by reducing the time your associates spend each day counting cash and the potential for theft and errors. But the growth of digital payments raises broader issues about tomorrow’s cashless society that are only now beginning to be considered. In the UK, for example, a recent report, the Access to Cash Review, predicts that as more bank branches and ATMs close, the economics of handling and accepting cash will cause more retailers to go cashless. So even if you don’t want to stop accepting cash, your retail business may be reluctantly forced to do it, which could cause a backlash from some customers. Today, cash is only used for three in every ten transactions in the UK, down from six in ten a decade ago. In the next 15 years, that figure could drop to just one in ten transactions. Discrimination against people who do not have access to cashless payment methods. In Sweden, the shift to cashless is happening quicker and half of the retailers predict that they will stop accepting cash by 2025. Iconic Swedish retailer Ikea has already experimented with a cashless store. While less than 1 percent of its shoppers used cash, it calculated that its associates were spending about 15 percent of their time handling cash. The cashless experiment only lasted one month and Ikea has no immediate plans to permanently ban cash, which is used mainly for small purchases in its restaurants. The overwhelming majority of Ikea’s consumers opt for cashless when paying for their big-ticket furniture and décor purchases, so the hassles of handling cash for Ikea and other speciality retailers are clearly less significant than they are for a grocery retailer or fast food chain, for example. The decision to use cash or cashless payments is highly situational. According to research firm emarketeer, US consumers prefer cash for small purchases, meaning items below $20 or $30. And cash rules for many retail formats: fast food outlets, convenience stores and small businesses. Meanwhile, debit cards are most used at grocery stores and mass merchandisers. While mobile payments have boomed in the APAC reason, emarketeer notes that adoption in the US is slower. The most common smartphone activity while shopping is comparing prices, which was cited by 36% or those surveyed, while 30% use it to research their purchase – reading product reviews, for example. Only 17% pay in store with their phone. Nevertheless, the shift towards mobile payments seems inevitable, and Openbravo makes it easy to add mobile payment capabilities to your POS — see our earlier blog post. 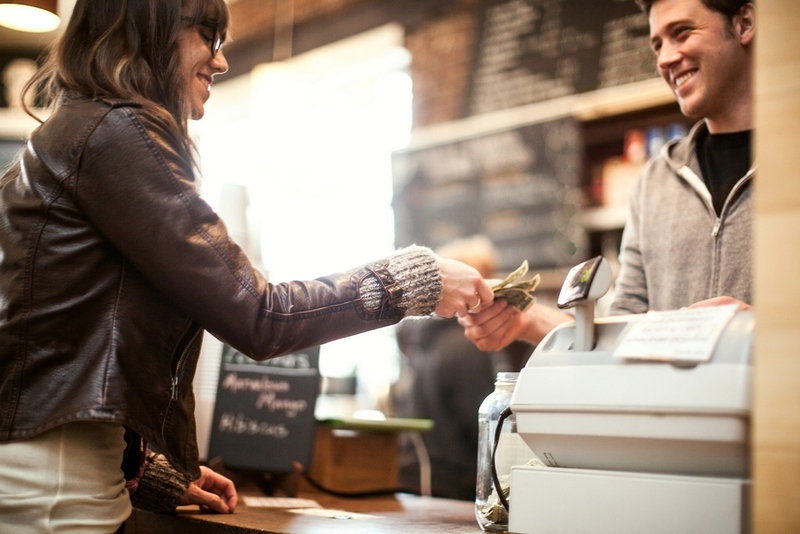 As the retail payment scene continues to evolve, it is important that retailers have a POS system that can not only efficiently support “legacy” cash transactions — with fast and simple-to-use cash-up operations, for example — but one that also offers them the flexibility to easily and rapidly embrace tomorrow’s cashless society. To find out more about the cash handling features of the Openbravo Commerce Cloud, we encourage you to take a take our Guided Product Tour Demo or watch a short video.